Sometimes, one blood sample is enough. Other times, it’s much more complicated. Kaela’s illness and death were prime examples of such complexity. The Carolina Tiger Rescue staff first noticed one of its most beloved resident tigers was sick in 2015. As the cat’s health declined, the staff took assertive steps to determine the root of her illness. Kaela was sedated several times over the past year and a half, when she was diagnosed with and treated for irritable bowel syndrome and exocrine pancreatic insufficiency. She also suffered a host of other medical issues that required special attention. Her condition proved fatal when she went septic from a toe infection on Sept. 5. She was 13 when she died. The necropsy results couldn’t determine why her immune system was suppressed. Kaela’s conditions were no burden, though. She received the care she was promised upon her 2005 rescue to Carolina Tiger, a 55-acre sanctuary that believes in saving and protecting wild cats in captivity and in the wild, as states its mission. That means providing the best quality of life possible for cats like Kaela. At 6 months old, Kaela and her brother Rajah were found on the side of the road near Charlotte. “The Cubs,” as they became affectionately known, reversed the organization’s eight-year pause in rescues. Carolina Tiger’s core focuses are rescue and education. It shelters animals in need from across the nation, while educating the public on the issues they face – both in captivity and in the wild – via camps, field trips, community exhibits and presentations and more. All of Carolina Tiger’s tours and volunteer and internship opportunities are based in education. Kaela’s story is directly linked to the lack of state legislation in North Carolina regarding the ownership of wild cats. 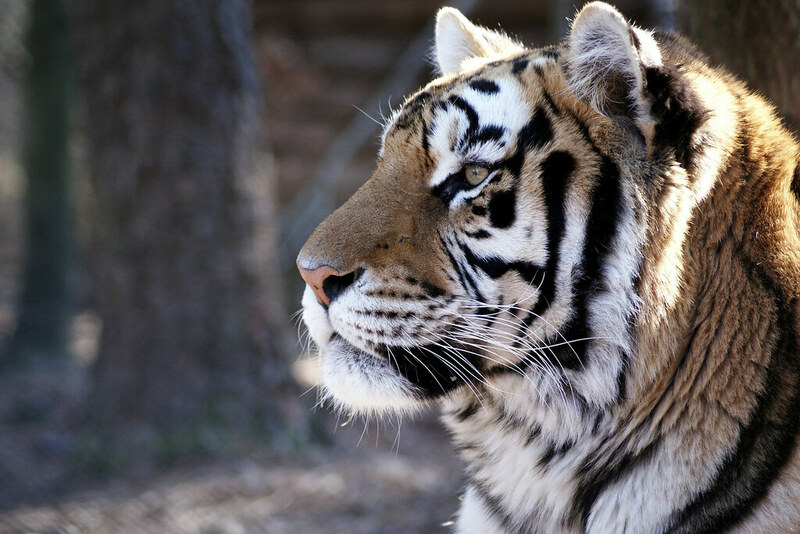 North Carolina is one of four states where it is legal to own a tiger, as there are no restrictions protecting exotic cats. The two North Carolina native wild cat species are bobcats and cougars, which haven’t had a population in the state since 1900. Kaela and Rajah were found on the side of the road at 6-months old in 2005. 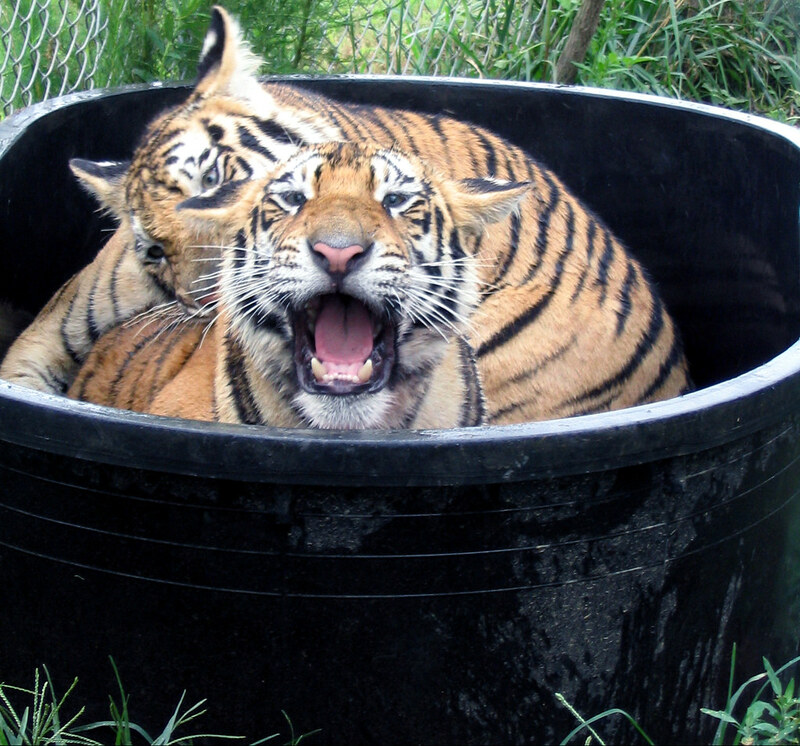 The “Cubs” celebrated their first birthday at Carolina Tiger Rescue. On that cold day in January more than a decade ago, perhaps a young Kaela was tired; she was found lying in the road. Perhaps she was frightened when animal control had to put a harness around her neck. How Kaela met a gravel road in a rural North Carolina county was unclear, but one thing was certain: she wasn’t where she was meant to be. 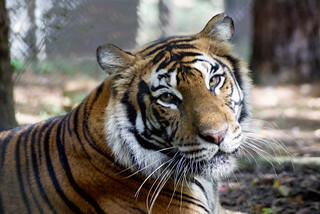 Through its educational roots, Carolina Tiger emphasizes its stances, which include an opposition to these wild animals as pets or to them being exploited for entertainment purposes. The best place for them, the organization believes, is in the wild. Though Carolina Tiger, which was founded more than 40 years ago, offers a forever home for the animals, even it cannot replace all they’d get in the wild. “There’s not a way that you can replicate everything they get from the wild between diet, between exercise, between enrichment, stimulation. We are enclosing them. In the wild, they’re going to have miles of territory – miles of territory,” said Katie Cannon, Carolina Tiger’s education director, who oversees education programs – all with a goal to spread the word about what perils the animals face, how Carolina Tiger hopes to change that course and what people can do to help. Some of the sanctuary’s animals have pasts that are unknown for a wide range of reasons. Aria Tiger was nursed back to health upon being found on the brink of death. 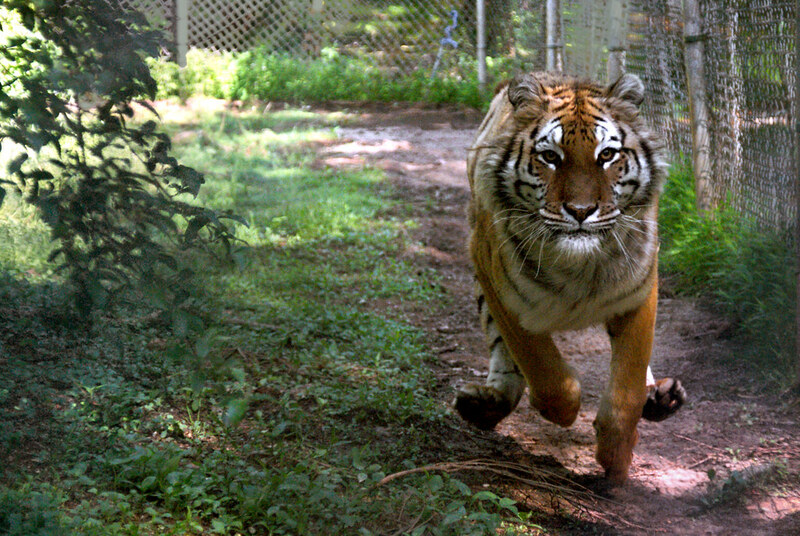 She was one of Carolina Tiger’s most iconic rescue stories. A tiger named Aria brought Carolina Tiger to South Carolina in 2013, when a family couldn’t find a vet to see their sick pet tiger of 10 years. When Aria was rescued, she was diagnosed with EPI, an explanation for her alarming weight loss despite her eating food. Her story later helped in Kaela’s case since the keepers were familiar with the sickness, which doesn’t allow the body to absorb the nutrients it needs. Aria was nursed back to health and able to enjoy her spacious enclosure until she died in 2016. She became a prime example of why these wild animals don’t belong in a backyard. When people obtain these predators as pets, they often don’t realize what a great responsibility it is, especially if they get sick. 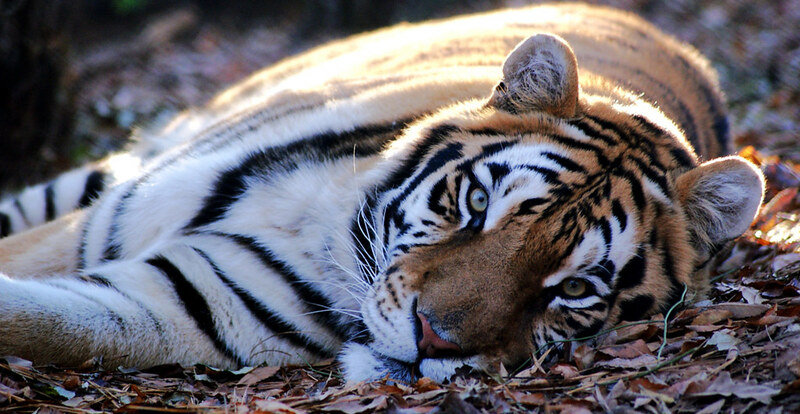 Carolina Tiger has cared for many, many ill animals over the years because of the duty it has to its rescues. There are nearly a dozen resident animals on various medication, and most are administered twice a day by a team of steadfast keepers, staff and volunteers who are dedicated to the animals even when they are too ill to come up for medicine or food. There are no shortcuts for them. 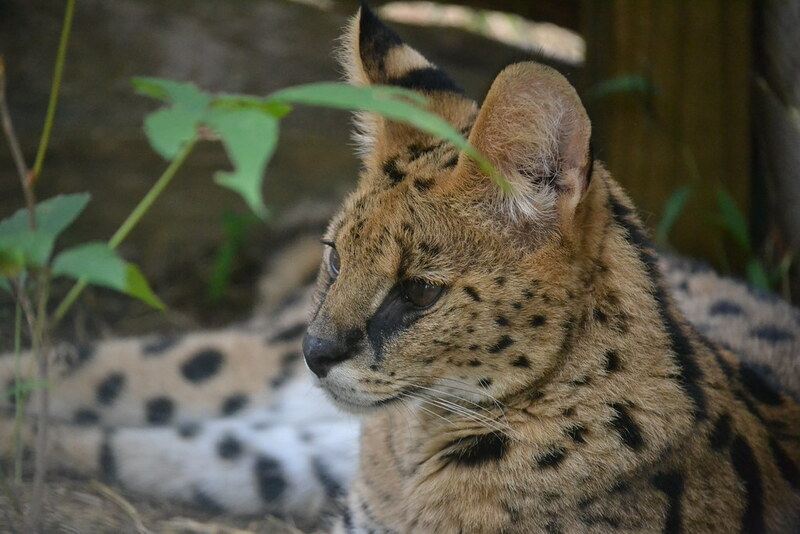 If Daxon, a serval what was formerly a pet, suffers from anxiety, Carolina Tiger treats him. 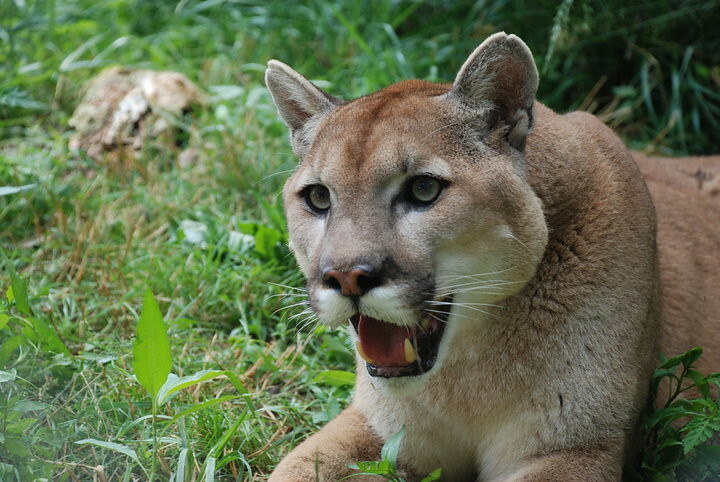 If Nakobi, a cougar who has trouble with his digestive tract, can no longer manage the whole carcass diet given, Carolina Tiger offers him diced or ground meat instead. If Kaela, a spunky tiger whose impact will live on through Carolina Tiger’s everlasting dedication to helping wild animals in need, required a little extra love and attention on a bad day, then that’s what she got.